Youth On Deck is designed to motivate and reward the future leaders of our Great Lakes Bay Region. We can achieve this by providing businesses the opportunity to support incentive-based programs in local schools and youth organizations. To become a Youth On Deck supporter, contact Joe Volk via e-mail or by calling 989.837.6165. Includes 32 special Youth On-Deck packages (groups of 4 tickets with a hat for the child, tour of Dow Diamond) and a visit from Lou E. Loon to the school or organization. 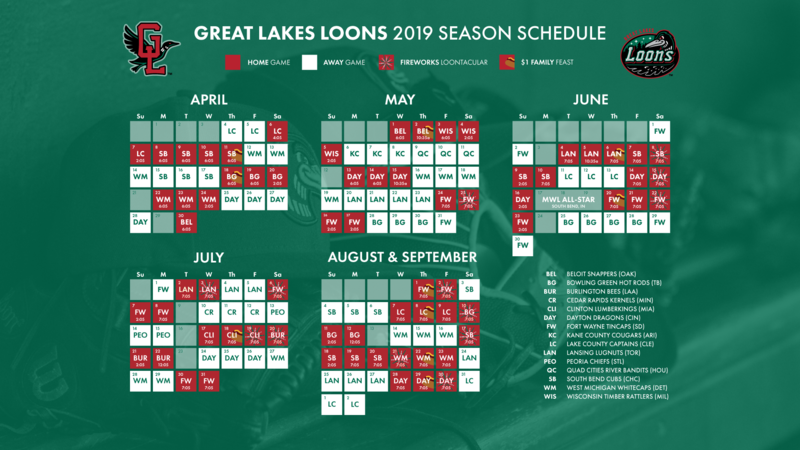 70 reserved box seats for a School Kids Day game (April 26, May 15, May 30) and visit from Lou E. Loon to school or organization.